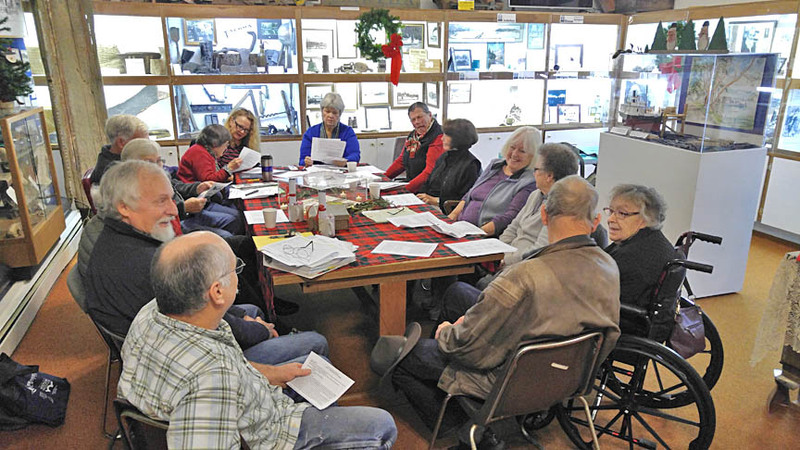 Fourteen members of the Key Peninsula Historical Society gathered for the December 2015 board meeting. Beverages and refreshments were served; good times were had. Among the topics discussed were the Final Report from the Faraway Centennial Committee, presented by Faraway chairman Connie Hildahl and supporting committee member Jan Prichard. Other members unable to attend were Karen Poole, Linda Strand, Joy Hanson and Christine Anderson. The committee spent five years presenting a variety of events to educate the community about the history of Faraway. Faraway was the Frank and Josephine McDermott family estate, built in 1915. Over the years, the committee has helped to increase awareness of the history of the Key Peninsula and recruited new members to the museum. Their final event was a program at the Longbranch Improvement Club with exhibits and a celebration of the 100-year birthday of Faraway. Don Tjossem revealed updates on the new display cases coming to the museum, courtesy of the grant from the Ben Cheney Foundation. Don did the hard legwork putting the KPHS grant package together; Brad Cheney and his team, Carolyn, Carol, and Ken have been wonderful to work with and we look forward to their support in the future. Lastly the board reviewed technology updates with briefings from Leila Luginbill on the Facebook page and Rob Hord on the website. Of particular note was the addition of online donation and membership dues payment options through Paypal. Judy Mills chairs the meeting; Connie Hildahl and Jan Prichard give their final wrap-up and accounting of the Faraway Centennial Committee.